US President Donald Trump on Tuesday said, ""And together, we are building a safe, strong and proud America. The state of our union is strong, because our people are strong." 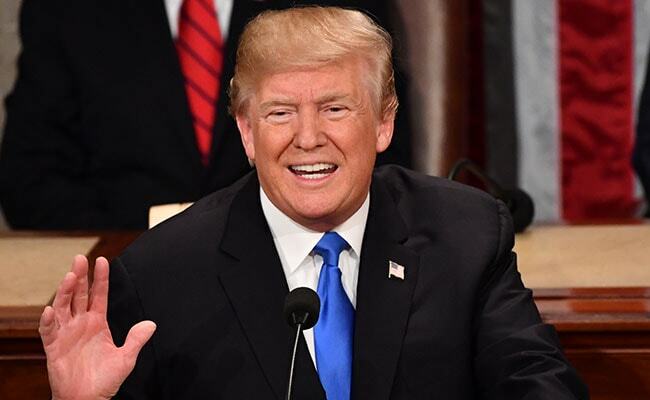 Washington, United States: US President Donald Trump urged Americans to move beyond the angry partisan divide between Democrats and Republicans in his State of the Union address to Congress on Tuesday. "Tonight, I call upon all of us to set aside our differences, to seek out common ground and to summon the unity we need to deliver for the people we were elected to serve," he said. The speech marked Trump's first year in office and came as his opinion poll approval numbers touched new lows, despite promising economic data and the president's frequent boasts of historic victories. "So let us begin tonight by recognizing that the state of our union is strong because our people are strong," Trump said. "And together, we are building a safe, strong and proud America. The state of our union is strong, because our people are strong."